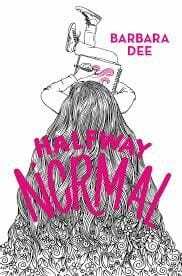 Halfway Normal is an original and heartbreakingly honest story about a twelve-year-old cancer survivor trying to fit in and find her voice. It is a powerful story of empathy and resilience, of moving forward and accepting yourself for who you are. This book is great. I think that it is very powerful. You should read this book if you are in 4th 5th and 6th. this book was an amazing book. i recommend this book.